Did you know that Scouting is bigger than any other youth movement in the world? Scouting is a worldwide youth movement with current membership at 30 million (around 66,000 in Australia). Scouts are involved in a vast number of issues facing the communities where they live. Scouts work with others in the community to achieve mutual objectives. They work with friends, neighbours, community leaders and other organisations. Many work on projects of bilateral cooperation between Scouts in developing and industrialised countries. Scouting is open to all, regardless of race or creed, in accordance with the purpose, principles and method conceived by its founder Robert Baden-Powell. Through recreation, Scouting achieves its purpose to help young people develop physically, intellectually, socially and spiritually. Scouting complements the school and the family, filling the needs not met by either. Scouting develops self-knowledge, the need to explore, to discover, to want to know. Scouts discover the world beyond the classroom, tapping the skills of others to learn, and passing that knowledge on to others. Scouts and leaders must choose to join Scouting. Scouting does not and must not represent any political party or organisation. Nonetheless, Scouts are encouraged to make a constructive contribution to their community, society and country. A chance to help young people. A way to improve the understanding between generations. In their service, adult leaders get valuable training and experience, adding to their personal development. Scouting is a Movement…on the move. Scouting is constantly evolving and adapting according to local conditions and serving according to local needs. There are recognised National Scout Organizations and branches in more than 161 countries. Scouting has never stopped growing since its founding in 1907. Today there are more than 30 million members- boys and girls. 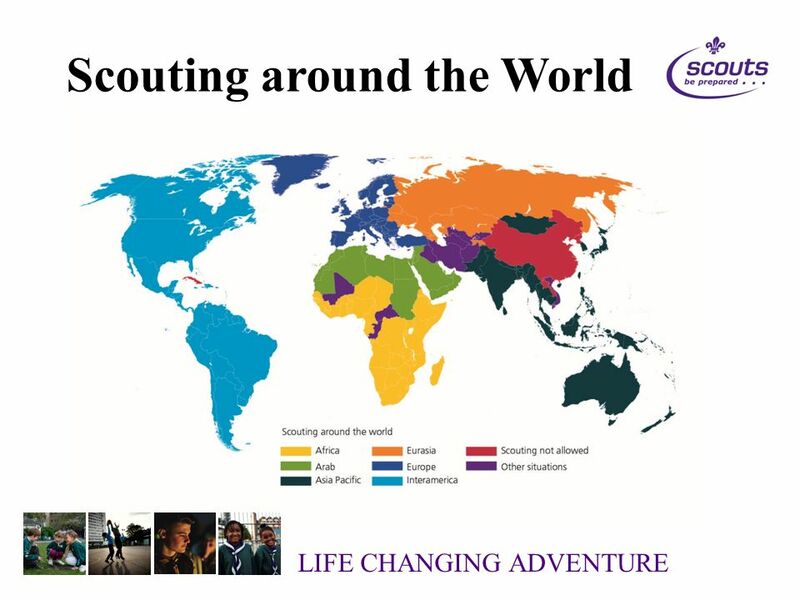 Scouting has doubled its membership in the last 20 years and much of its growth is in developing countries. Progressive activities based on the interests of young people. Activities in contact with nature, a rich learning environment where simplicity, creativity, and discovery come together to provide adventure and challenge. Considering the problems faced by young people today, Scouting has a far greater application than ever before. The adult contribution to Scouting means many things to many people, but above all it is about service to young people by providing them with a tried and tested program of activities designed to train them to cope with the world as responsible and valuable citizens.